Revealed: Where Adulterers Meet to Cheat! The most popular hours to sneak out for an affair during the working day are between 12-3pm and 4-6pm. Arranging to meet with an adulterer for a first date? Your safest bet might be a coffee shop, just make sure it’s a way away from home, so says new research. IllicitEncounters.com, the UK’s leading dating website for married people, surveyed over 1500 members to find the locations where adulterers meet for a first date. 38% of adulterers meet at a coffee house, 25% at a restaurant, 20% at a bar, 10% at a pub, and 3% at a hotel (4% chose ‘other’). “Needless to say, the general idea here is not only to have an exciting date, but to not get caught. A coffee house not only provides a decent stop for a first date, but a good alibi too. If you get spotted, it’s not exactly improbable for someone to believe that you just got talking to a random stranger in a packed coffee house. The same could be said of a bar or a pub; it might not be someone’s idea of a romantic first date, but when you’re just getting started, it provides some much needed security. The research also found that adulterers in bigger cities meet, on average, 10 miles away from their home and/or workplace, while those in smaller, rural locations stray slightly further from home, with an average of 15 miles. “Don’t defecate where you eat, so they say,” says Grant. 65% of adulterers admitted to meeting during work hours, while 24% meet up on the weekend, and 11% on weeknights. The most popular hours to sneak out for an affair during the working day were between 12-3pm and 4-6pm. “Those ‘meetings’ that your manager attends out of the office at random hours during the day? Maybe they’re not the sort of meetings that you think they are,” says Grant. They Cheated Emissions, Now Their Drivers Cheat Too – VW: The Car of the Adulterer! Volkswagens are the most commonly driven cars among affair-seekers in the UK, new research has found. Volkswagen received 22% of the male vote and 18% of the female vote. In fact, the Germans were dominant, with Mercedes and Audi coming in 2nd and 3rd in the male vote (19% and 14% respectively), and Audi and BMW coming in 2nd and 3rd for women (14% and 12%). The research also found that VWs were the most popular cars for both men and women in England, while Scottish men opted for Audis, and Scottish women for Volkswagens. The results come from the UK’s leading dating website for married people, IllicitEncounters.com, who surveyed 1000 of their members. 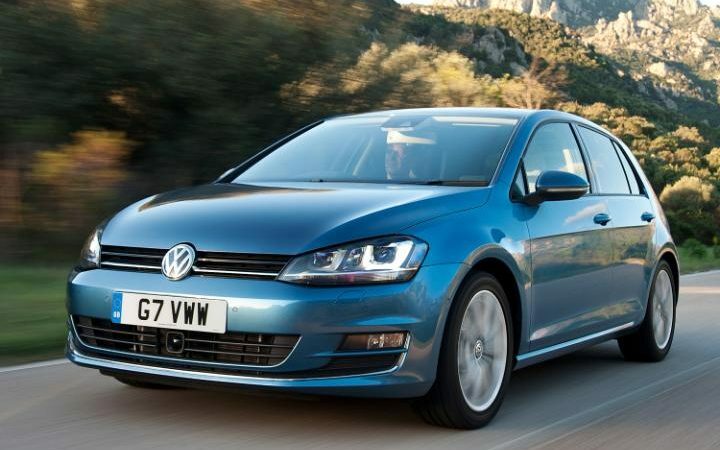 Of the top 5 most popular makes, the most popular models were the Volkswagen Scirocco, Mercedes C-Class, Audi A4, BMW 3-Series and Jaguar XKR for the men, while women preferred the VW Golf GTE, Audi Q4, BMW 1 Series, Ford Ka and Mini Cooper. The research also found that nearly two thirds of men (61%) felt that having a luxurious car would impress their date, while only 25% of women cared about their dates’ choice of car. “A car is a statement; your wealth, job status, intelligence – you can gauge a lot about a person just by the car that they drive, so it’s hardly surprising to see that a lot of our members are driving expensive German makes,” says Grant. The least popular car makes for affair-seeking men were Skoda, Nissan and Fiat, with 0.5%, 0.8% and 1.4% of the vote respectively. Meanwhile, Hyundai, Skoda and Toyota were the least popular cars for women, with 0.4%, 0.9% and 1.6 % of the vote. The Skoda Fabia, Nissan Micra, Fiat Panda, Seat Mii and Kia Soul were the least popular makes for the men, while the Hyundai i10, Skoda Fabia, Toyota Prius, Smart fortwo and Vauxhall Astra were the least popular makes for women. Is your marriage a train-wreck? The best way to save it could be by entering into an open relationship, new research has claimed. More than 1500 people took part in a poll, with 5% noting that they have entered an open relationship after having experienced struggles in their current marriage. Of that 5%, a little over half (52%) noted “a significant” improvement in their marriage after making the decision to enter an open relationship, with 44% specifying that they were more satisfied in the bedroom. “It’s a difficult concept to come to terms with,” explained Christian Grant from extra-marital dating website IllicitEncounters.com. The results shed some light on how the modern relationship is changing, with more people trying a different approach to turn around their struggling love lives. “People in an unhappy relationship or marriage are often too scared to speak up and act to save what’s left,” says Grant. However, Grant explains that the recent research indicates that the paradigm is finally starting to shift. Kerry, who has been using IllicitEncounters.com for 3 years, said: “I initially intended to use the site to have an affair, but I opened up to my husband and we’ve been in an open relationship ever since. Red Tuesday: Tuesday Before V-Day Is the Most Popular Day of the Year to Dump Someone! Make sure to hold on to the receipts for those expensive Valentine’s Day gifts because on 9th February, there’s a good chance you’re getting dumped. That’s according to IllicitEncounters.com, the UK’s leading dating website for married people, who have dubbed 9th February as Red Tuesday, the top dumping day of the year. IllicitEncounters.com’s survey also found the ways in which people have previously dumped their partners on Red Tuesday, with the majority (26%) choosing to break the news by text. 24% braved a face-to-face conversation with their now ex-partner, with 22% dumping their partner by phone. Interestingly, the number of people who dumped their partner via instant messaging services such as WhatsApp, and social media networks like Facebook and Twitter, increased from last year, with 13% choosing to break up over Facebook, 10% over WhatsApp, and 7% breaking the news to their partner in a lowly 140 characters on Twitter. Ouch. Interestingly, IllicitEncounters.com has reported a record number of members signing up to the site in the lead up to Valentine’s Day. “It’s not the first time that this has happened,” explains Grant. “For the thousands of people who break up, there are many who choose not to do so. Whether that’s out of fear, or whether they’ve already paid out on an expensive weekend away in Paris, they simply grit and bear it… but that never lasts for too long. Fellas, lock up your wives, the average woman is more likely to have an affair in 2016 than ever before, so claims IllicitEncounters.com, the UK’s leading dating website for married people. IllicitEncounters.com studied various data trends, including the increase in their female membership year-on-year since the site’s inception in 2003, and the activity of their female members, to predict that women are up to 20% more likely to have an affair this year compared to 10 years ago, and up to 33% compared to 20 years ago. In fact, January saw IllicitEncounters.com receive almost double the amount of female sign-ups on a daily basis compared to the same time period in 2015. But, although instant messaging services and various social media platforms have undoubtedly aided affair-seekers, the leap in technology is not the sole catalyst behind this predicted increase in female adulterers, as Grant explains. The influence of culture and society doesn’t stop there, however, with Grant adding: “The modern day affair is very much a product of its time. The 21st century woman, or at least the stereotypical image of her, is independent, one who is far less reliant on her husband than she has ever been.